1. Wedding Website: The easiest thing you can do to go green is to set up a wedding website. This acts as a centralized hub for your guests and will let you skip printing out directions, accommodations, registry cards, etc. mywedding.com offers free wedding websites with matching eco-friendly invitations if want to have a unified look and feel for your event. 2. Invitations: Invitations are one of the easiest things to green. In addition to digital invitations, look for invitations made from recycled, post-consumer waste paper and tree-free paper. Some companies are now making wildflower seed wedding invitations so your guests can plant the cards after your wedding and watch their garden grow. I also really love the wood invites printed on forest stewardship council (FSC) certified paper. They are chic and unique, though more expensive than other green options. 3. Venue: Choosing a venue that is centralized to the majority of your guests is the best way to reduce the carbon footprint of your event, as air travel is the biggest polluter. Look for a venue that can host both the ceremony and reception to further reduce transportation needs and so that guests can drink. They will love you for it. 5. Beauty: If you do nothing else green for you wedding, I encourage you to go get new eco-friendly (non-toxic) makeup. Look at the Environmental Working Group’s Skin Deep Database to find green substitutions and bring your all-natural beauty and hair products to the salon with you for your wedding day prep if that is your plan. 6. Rings: The metal required to make one wedding ring produces 1 ton of mining waste and many diamond and gemstone mining practices are environmentally damaging and unethical (supporting child labor and civil war). 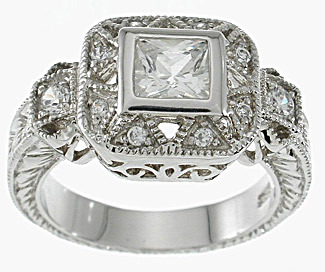 Look for companies using recycled metals and certified conflict-free or vintage gemstones. Still struggling with the idea of an engagement ring? Read more about whether rings are really worth it. 7. Flowers: Most flowers in the United States are imported from flower farms and hothouses using terrifying level chemicals. Local, seasonal and organic flowers are fresher, cheaper and have a much smaller environmental footprint. If you want to use rose petals for you aisle or on your tables, you can find California-grown pesticide-free rose petals in every color of the rainbow. 8. Food: Couples spend about half of their wedding budget on food, so including even a few local, seasonal or organic elements can make a big difference. Check Local Harvest, Green America and Dine Green for restaurants and caterers offering sustainable menus in your area. 9. 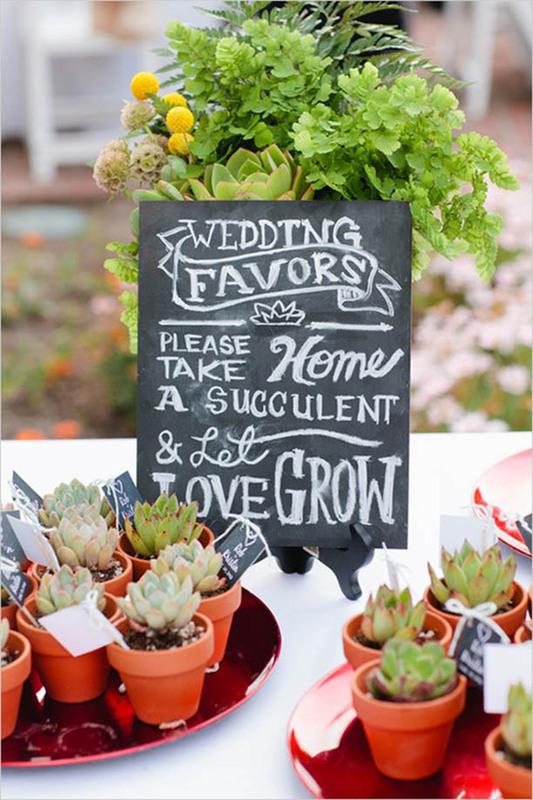 Favors: A green wedding favor is a great way to show guests you care. 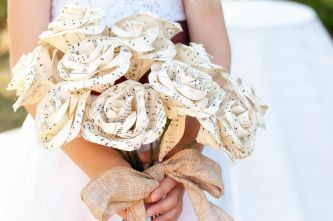 There are so many kinds of eco-friendly favors it is impossible to list them all, but popular categories include plantable favors, edible favors and charitable favors. It is also nice to work the local flavor into your wedding by giving a gift that represents the culinary specialty of the area. For example, a small bottle of hot sauce is perfect for a Southern BBQ-style wedding. 10. Honeymoon and Destination Weddings: Your honeymoon is an awesome time to go on a real adventure, and there are many excellent eco-outfitters. If a resort is more your style, look for Green Globe 21 certified properties (including many Sandals resorts). 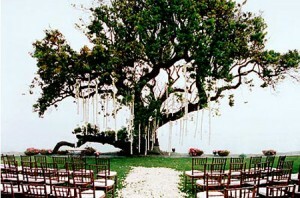 For more ideas and a directory of eco-friendly wedding vendors, check out www.greenbrideguide.com. About: Kate L. Harrison has a Masters in Environmental Management from Yale and a JD in Environmental Law. 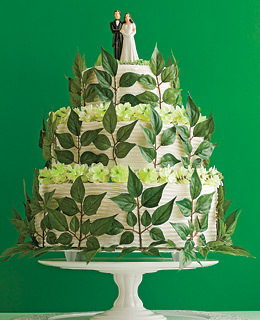 She is the author of the best-selling green wedding book The Green Bride Guide: How to Create an Earth-friendly Wedding on Any Budget (Sourcebooks 2008). 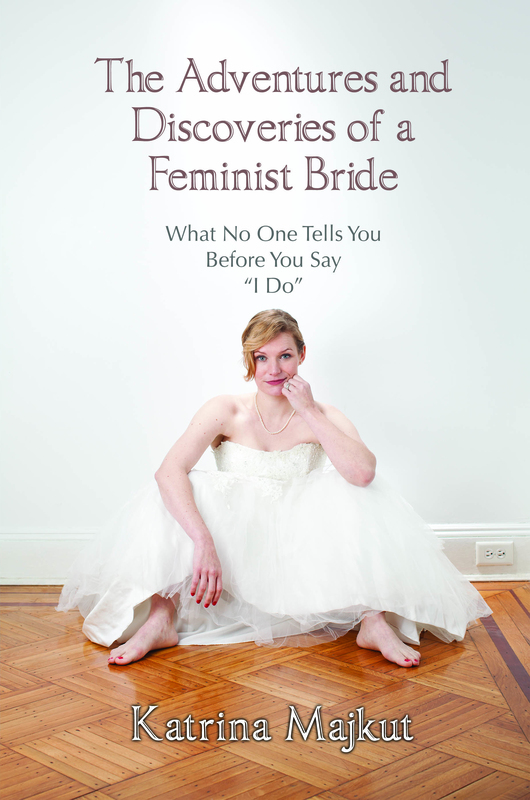 In 2009, she founded www.greenbrideguide.com to help couples plan sustainable events. 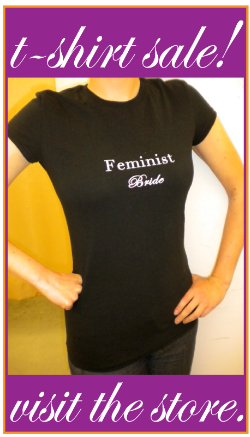 She is now the Director of Eco-friendly Marketing at mywedding.com.